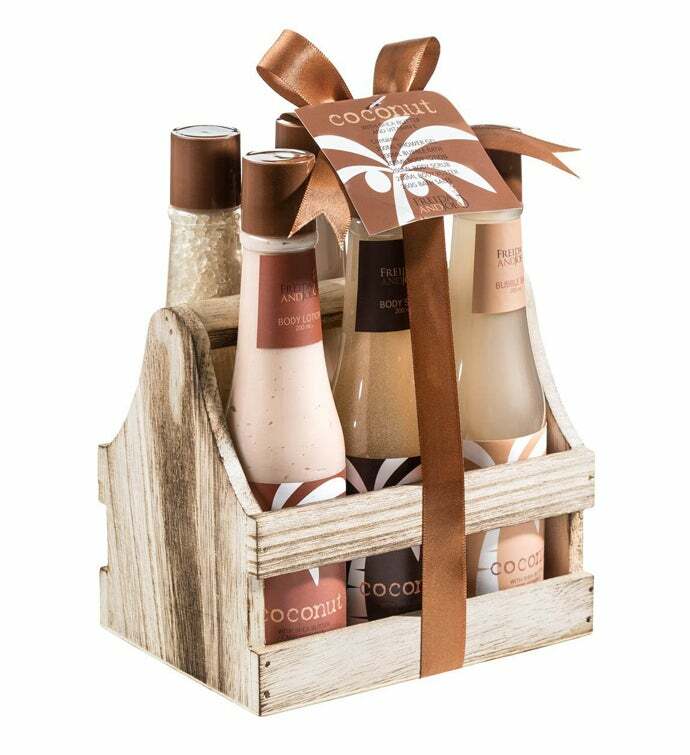 TURN BATH TIME INTO SPA TIME This Tropical Coconut Bath and Body Spa Set can help relax, rejuvenate and revitalize your body, mind, and soul. The additional ingredients shea butter and vitamin E, only serve to transform your normal tub water into a healthy soak that will make you feel better. Malo, Hawaii coconut tropical isle! Coconut, referred as the tree of life, is loaded with essential vitamin oils leaving radiant silky skin which creates harmony and replenishment to body and mind! The gift set that gives twice! This set comes in a natural wood plant box. The gift holder is a box that can be used to store and display, all kinds of items as well as for planting your favorite flowers.